Marketing strategies and methods are very important in order to promote businesses. There are ultimately many marketing strategies that have been developed to improve businesses through proper advertisement and promotions. But among the common business marketing strategies, one of the most popular and recognized strategies is the marketing through branding. Branding is a marketing method involving the term, name, symbol logo, sign, design or combinations of these factors to improve popularity and provide identity to products and services, and to differentiate the products they sell from other products offered in the market. Branding marketing method basically helps businesses and companies create good reputation and unique identity to make the product or service more noticeable and attractive compared to other same products in the market. But with the continuous development on this strategy, branding is now utilized not only to make your prospective market prefer your company and your products over your competitors but it should make your target market see your products and services as the one and only solution to their needs. Effective branding strategy makes products and services standout in the tough market competitions as well as to make the products you are selling more attractive compared to its competitors. An excellent branding method is not just about logo and company design but it is also about using your company’s positive points and strengths to promote not only your specific products but also to raise your company’s reputation and credibility. This goal can be achieved through an effective branding strategy involving proper endorsement of products, making sure that you can produce quality products as your company have claimed in your advertisements and promotions and being consistent on your overall business ideas and values. Branding, just like other business marketing tools and strategies, require thorough planning and proper execution in order to work well. In this tough and competitive market environment, relying on business instincts and obsolete marketing strategies will only make your business growth in diminishing rates. According to the Brand Mastery book published by Mr. Ken Chee, powerful branding strategy can greatly improve and transform businesses and companies with just a short period of time. 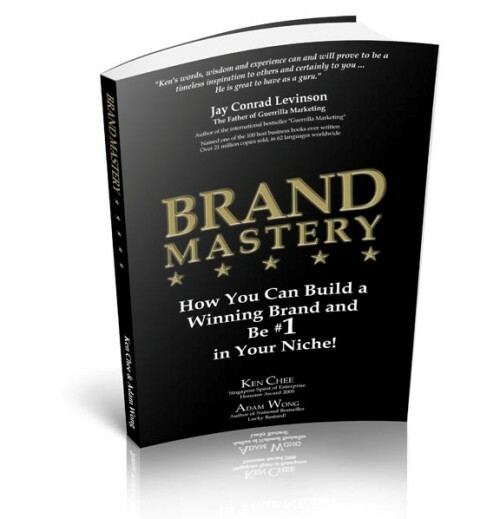 The book also teaches vital information on how to build stronger brand name and identity, and how to establish stronger relationships with your loyal customers as well as your target market by instilling confidence and trust not only on your products but also on your business ideals and core values.